When in the course of political events it becomes clear to the Citizens that their government is out of control and has become a threat to the very unalienable rights that it was created to secure, it is the Just Duty of the Citizens to Alter their government. Our People have been divided into a multitude of opposing groups and our government seems to have forgotten that it is our servant, and not our master. We the Citizens have endured a long train of assaults upon our common sense, our culture, our values, our border, and our way of life, while our Liberties have become less secure. 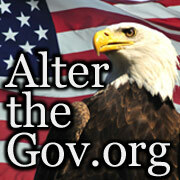 Our government of, by, and for the People has lost its way and has become more a government of the politicians, by the bureaucrats, and for lobbyists, unions, campaign contributors, drug companies, foreign banks, large corporations, small vocal minorities, the Federal Reserve, the United Nations and the New World Order. Drafting laws behind closed doors and using private emails to conduct government business in secret. Not allowing enough time or access for congressional and public debate of legislation before passage. Making misleading statements about bills and attaching earmarks to effectively buy votes with taxpayer money. Passing laws without having fully read them and sometimes before they have even been completely written. Making legislation so long and complicated that the Citizens and many of the politicians cannot understand it. Our government has unrelentingly encroached upon our Liberties, Freedoms and Bill of Rights in the name of "security", "compassion", and "general welfare". Our government has delegated powers to bureaucratic agencies that now have the power to create their own laws, execute their laws and adjudicate their laws as they see fit, largely without Congressional oversight. Our government has used taxpayer money, executive orders, signing statements, legislation, and selective enforcement of laws, and judicial edicts to change the political and cultural demographics of our Nation for personal and political gain. Our government has become an intrusive and unconstitutional gatherer of data in apparent violation of the Fourth Amendment of our Bill of Rights, which is intended to protect us against unreasonable searches and seizures. Our government has grown far beyond its original mandate to secure the Blessings of Liberty for ourselves and our Posterity, and is now our largest employer, lender, debtor, purchaser, educator, provider of charity, provider of insurance, provider of health care, provider of services, and redistributor of wealth. Our government has sought to minimize and cover up its failures and the significance of the Debt problem, the Unfunded Liabilities problem, the DOE loan scandal, the Fast and Furious scandal, the Benghazi scandal, the IRS scandal, the Associated Press scandal, and the NSA scandal. We have Petitioned our government for a redress of grievances with little effect. We now find that our Unalienable Right to Alter our government may be our most important Right, because without it, all of our other Rights are inevitably in jeopardy. 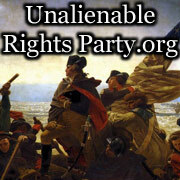 We the Citizens are the last line in the defense of Liberty and now is our time to unite in defense of our Liberty and our Unalienable Rights. Therefore, with a firm reliance on our Creator and in memory of those who have sacrificed so that we may Live in Liberty, We the Citizens of the United States, hereby establish and codify this Interactive Declaration of the Citizens to stand beside our Declaration of Independence as an instrument of our Right and Duty to propose and peacefully enact Alterations to our government by direct Citizen vote, so that our government shall never be abolished and we will always remain the land of the free and the home of the brave. The Alterations under this Interactive Declaration of the Citizens, once ratified by a majority of the voting Citizen electorate, will be valid for all intents and purposes as an integral part of our government. Thereafter our government will make no proclamation, law, or ruling which contradicts or diminishes the enactment and implementation of a ratified Alteration. This Interactive Declaration of the Citizens will never be used to infringe upon our Bill of Rights for People of the United States. We trust and believe in the Wisdom of the Citizens. 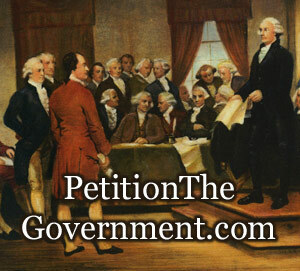 In order to sign the Declaration, you must login or register.